Electronic Arts has asked GitHub to remove a fan-created remake of the classic SimCity 2000 release. While the original game is a quarter-century old, the publisher points out that the assets are not free to use, adding that a copy of the game can still be purchased legally. SimCity 2000 is without a doubt one of the most iconic games in history, one that paved the way for hundreds of other ‘building’ titles. The game was first released in 1993 for Apple computers, but it later made its way to the PC and several gaming console platforms as well. 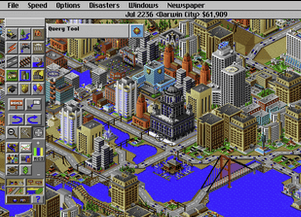 After more than a quarter-century, SimCity 2000 still receives plenty of interest from nostalgic gamers who like to relive their early gaming experiences. This is likely one of the reasons why developer Nicholas Ochoa decided to code a remake using the Electron framework. The game, titled OpenSC2K, was released on GitHub earlier this year and received quite a bit of attention on sites such as Reddit and Hacker News. While it is billed as an “open source” version, the remake did include original artwork, belonging to Electronic Arts. These images and sounds are definitely not free to use, something the developer is fully aware of now. A few days ago Electronic Arts sent a DMCA takedown notice to GitHub asking the platform to remove the infringing repository from its site. “Assets from the game SimCity 2000 are being infringed upon,” EA writes. The company points out that the game can be purchased legally through Origin where it’s still being sold for a few dollars. While OpenSC2K is far from a full remake, Electronic Arts makes it clear that the SimCity 2000 assets are not for public use. “The current audiovisual output of the repository creates content that infringes on Electronic Arts copyright. As long as that continues to happen, no other changes other than removal is sufficient to address the infringement,” the company writes. Soon after this DMCA notice was submitted, OpenSC2K was indeed taken offline, replaced with GitHub’s standard DMCA notification. The takedown effort didn’t come as a complete surprise to the developer. When he announced the project earlier this year, several people pointed out the potential copyright issues. This is also the reason why the developer came up with an asset conversion tool early on. That would make it possible to replace the original artwork with open source content, however, due to some code changes and other priorities, this hasn’t happened yet. TorrentFreak spoke to OpenSC2K’s developer who is currently trying to get a non-infringing version of the repository restored. He also mentioned that not just EA’s assets, but all his code was pulled offline without any type of prior notification. “I was never contacted by EA or GitHub prior to the takedown – I received notification after the fact from GitHub. Nobody from EA has reached out since and I’m still waiting for GitHub to review my request,” Ochoa tells us. The developer understands that EA has the rights to the graphics and DAT files he used. And he has no intention to use these files going forward. However, he would have preferred it if the game publisher came to him directly, instead of taking down all his work. “I just wish they’d have reached out first, I would’ve gladly removed the content quickly and without issue,” Ochoa tells us. What remains, for now, are a few screenshots and YouTube videos of the remake in action. Note: This article was updated shortly after publication in include Ochoa’s comments. ESA Reports Pirate Bay, ROM Sites and Cheaters to the US Govt.